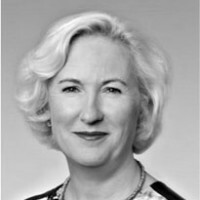 Imogen Dillon Hatcher serves as the President of Platts, having previously held the same position with S&P Capital IQ. A McGraw Hill Financial business, S&P Capital IQ is a leading provider of multi-asset class and real time data, research and analytics to institutional investors, investment and commercial banks, investment advisors and wealth managers, corporations and universities around the world. Imogen initially joined S&P Capital IQ in April 2014 in the newly created role of Chief Commercial Officer with responsibility for leading their global sales, client services, marketing and research network activities. Before joining the company Imogen was with FTSE Group, the index provider, for 10 years. In 2010, when FTSE was acquired by the London Stock Exchange Group, she became Executive Director of the Information Services businesses, running global sales for the index, real time, software and reference data teams. Earlier in her career, she served as Head of European Sales and Marketing at Informa Global Markets Ltd. She has also held senior posts in other leading data vendor companies, including Financial Times Information, Extel Financial Ltd and Reuters PLC. Imogen holds a bachelor’s degree in Arabic and Islamic Studies from the University of Exeter.